Today, Oct 31st 2017 marks the 500 yr anniversary of the Reformation when Martin Luther posted his 95 theses on the Wittenberg door and courageously took his stand for the unchanging gospel! A reformation is the action or process of reforming an institution or practice. A focal point of the Protestant Reformation was the Bible being translated and made available in the common language of the people. We are grateful to God for Luther and his fellow reformers, who courageously clarified the gospel and catalyzed its spread throughout the world. These Reformers labored together in the power of God’s Spirit for the glory of God’s name. They challenged the false teachings of their day and fought for a recovery of the true gospel of Jesus Christ. The gospel of our salvation is by Grace Alone, through Faith Alone, and in Christ Alone. This Reformation was centered on the glory of God Alone. The great reformer John Calvin helped the church recover a passion for the majesty of God, calling the church to see and to savor the glory of God in Christ! As Calvin says, “The need for the Reformation was fundamentally this: Rome had destroyed the glory of Christ in many ways. The reason the church was carried about with so many strange doctrines was because the ‘excellence of Christ’ was not being perceived by us” (Portrait of Calvin, 9). 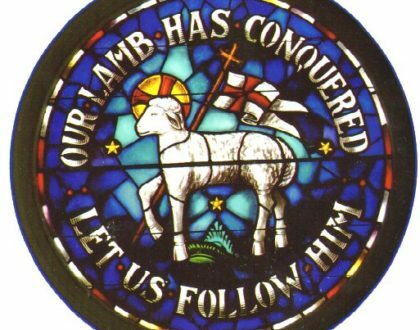 This year we want to pray for a Lamb‘s Reformation to help shift the church back to honoring the sacrifice of Christ! It’s our desire to see the church in our day fully reformed, alive to the Supremacy of Christ in all things! Let’s cry out for a God-breathed, Lamb-Awakening movement where God’s Spirit uses God’s Word to re-awaken God’s people back to God’s Son as the Lamb of Glory! May the Lamb who was slain receive the due reward of his sufferings. Could the Holy Spirit be holding back the coming wave of glory until we are gripped with a passion for the Lamb, the One from whom Glory flows? The Father is always looking at the wounds of his Son, and I believe He is asking the church when will you allow your hearts to be scarred by the sacrifice of My Son as the Lamb? When will you give my Son the reward he deserves for his suffering? Father, we believe that the hour has come for your Son, the Lord Jesus to be honored, and treasured as the Worthy Lamb who was slain! Even as the Lambis in the center of the throne in Heaven, we declare and decree that it’s time for the Lamb to become the center of the throne on the earth! 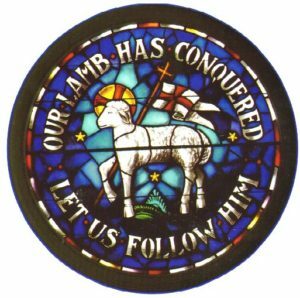 Father, we ask for a Lamb‘s Reformation in the church that would wake us up again to his cross, to bring your Son the reward he deserves for giving his life as a slain Lamb! Father, send forth ones like the apostle Paul who will resolve to know nothing but Jesus Christ and him crucified and that alone! Father raise up ones like John the apostle who will look until they see the slain Lamb standing in the center of the throne in heaven, and then reveal him here on the earth!